John gilmour's pork sausage, smoked back bacon, stornoway black pudding, Hornig's haggis, baked beans, tattie scone, sourdough toast, eggs your way. Chargrilled chicken breast, smoked bacon, plum tomato, crisp lettuce, mayonnaise, skin on chips. 25% off food from the a la carte menu. Not available on Valentine's Day. Good food and service. House wine a little overpriced. The beer was cold and fresh. The fish was hanging off the plate in its crispy golden brown jacket. 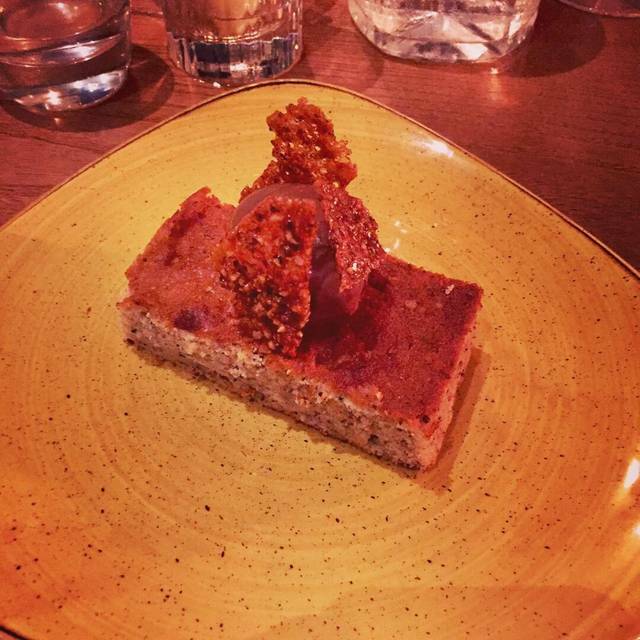 The sausage roll was comforting with a bite of creamy bone marrow on the side. Generous portions. Friendly service. Playful interior. The decor, the staff, the vibe and of course the food and drink. My favourite place for Brunch in Edinburgh. Although the food was delicious, the portion sizes were just abysmal. I ordered the scallops as a starter which were £10 and I got one scallop! 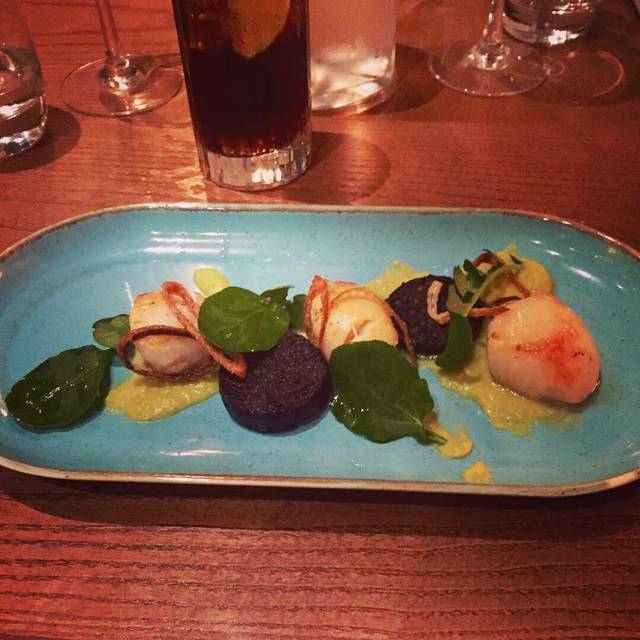 When I pointed out that the menu said scallops in the plural meaning more than one, it fell on deaf ears. Just not interested. Shame really as I would have gone back and recommended to my foodie group, but now won't be a return customer and I won't recommend. 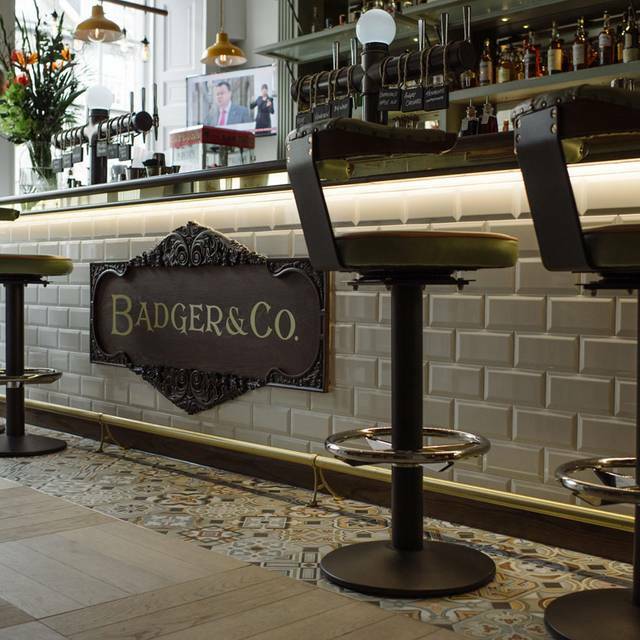 We came to Badger & Co for my friends 40th Birthday, and they couldn’t have made it more special if they’d tried. We had a lovely table by the window, a glass of Prosecco on arrival and they made her dessert special by writing happy birthday on the plate. Truly wonderful service. The food and ambience was perfect too. I cannot highly recommend enough. I only wish we were locals to go back often. Thank you. Overall very good, service a bit slow. Vegan breakfast could be bigger was still a bit hungry after! Nice interior and atmosphere. Would go back. 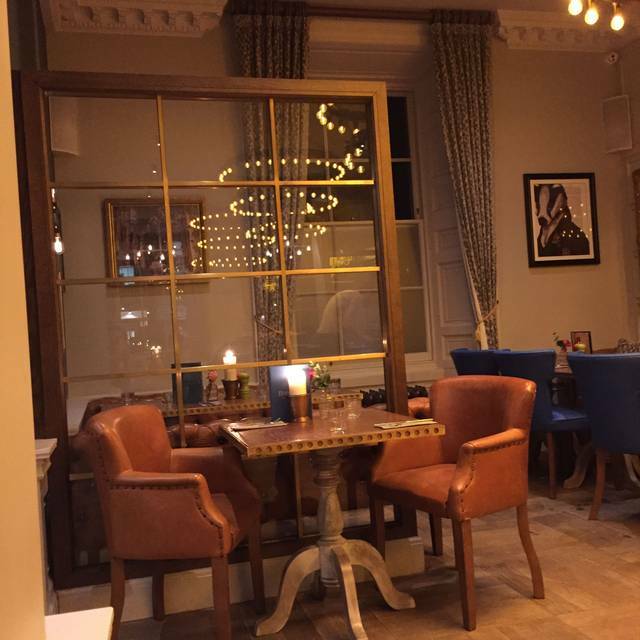 Brilliant restaurant great food lively atmosphere quite expensive on drinks but food is good value and delicious would thourally recommend. Recommended to us by a friend and we would not hesitate to recommend it to others. Cracking place for some great food. Drinks, service and ambiance good. Thought the food was overpriced for what it was...£10 for one scallop and £15 for a fish pie which had too many potatoes in it (and then mash served with it). The Brunch was excellent value with 4 cocktails included however the food wasn’t great. The bacon roll was nice. The bagel needed toasted and more than a smear of cream cheese. We had to ask for butter and the black currant compote was a bit odd. The other night did thing was the fruit and yogurt which came in bowls for all 3 of us. When we asked for other bowls to share it out the waitress seemed surprised. The cocktails were great and value for money was very good. Overall an enjoyable meal and Munster won! Good service, good food albeit the starters were barely more than one mouthful( could do better there ). Good atmosphere on a quiet Monday evening. 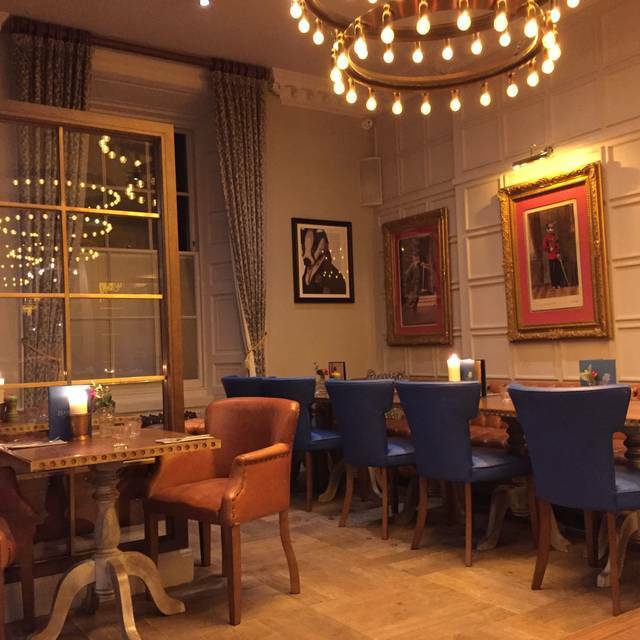 Great location in the heart of Edinburgh. The bar area is lovely for a drink. The food menu is very basic with very limited choice. No wine list offered and the service was rather slow. 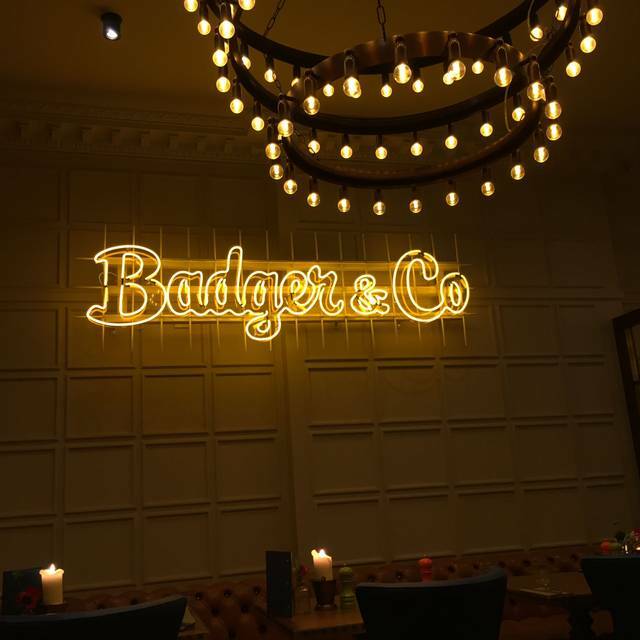 This was our first time at Badger & Co and we were not disappointed, really nice place and the food was excellent, definitely go back. I went with my friend and my dog for Badgers Brunch. I have been a couple of times before - some of the staff remembered me which made me feel quite special, they also made a fuss of the dog which made us feel incredibly welcome. The food was tasty as ever and the drinks were fabulous. A great experience all round. Well done badger and co, keep up the great work! Very nice, relaxed atmosphere on an early Thursday evening. Only had time for one course but it was very good and would definitely return again. Good food but from a generational perspective I fail to see the need for music in a good restaurant - unless it’s for the staff- who were courteous and efficient. Fine for lunch in town. Nice atmosphere, reasonably priced. Pleasant staff bit had to remind them we had been waiting nearly 30 minutes for our drinks. They were rushed off their feet. My wife’s fish was over cooked and then almost raw so we had free deserts to enjoy..
Nice place and welcome. Unfortunately food was a huge disappointment. Fish and chips looked like a child’s portion. Burger overdone. Plates looked empty and wholly underwhelming when they arrived and didn’t improve. Great atmosphere and dogs are welcome. Love this place.